We are at the Equine Affaire in Columbus, Ohio this weekend and lots of people are asking about clinic, lessons and other learning opportunities. I’m posting this blog with easy links to the pages that describe these. We encourage people to watch at DVD’s to prepare for and decide if clinics or lessons are a good fit for you. It is important to know, like and trust the instructor you are learning from. We will also be holding both online and in person events…so be sure to either sign up for the weekly tips or keep checking back! Gotta go-headed back to the expo! ← Tee shirts and more!!! 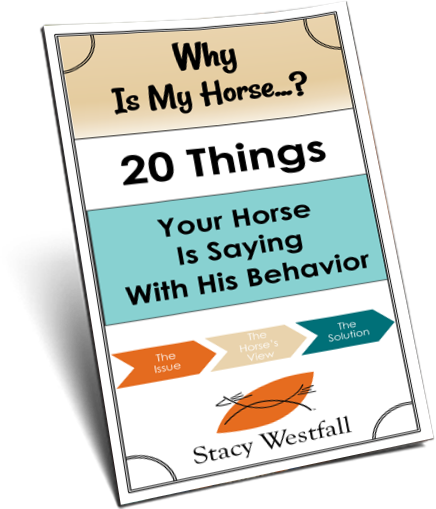 Do you take horses in for training? No, not anymore. We focus on teaching people how to train their own horses. Saw your clinic at the equine. That is what made me want to understand HORSE. So…. I went to kentucky found a walker and am now ready to learn. He is ten and we fit well. Well let’s say he put up with me. I am 68, maybe a 3 on a scale of 10 riding. I feel somehow, someway, I need to learn what makes a horse tick. Hard to explain my reasons…..frankly it just makes no sense to any one but my wife. The reason for this email….I can ride him but where, when and how is the best way to hook up when he arrives in a few weeks? I do not want to mess this up and truthfully am terrified that I will get it wrong. I want this to start right. Sounds prissy I know for a male, a war veteran, 45 year business man. However, at this point it is one of the most important undertakings of my life. Debi and I do have some of your tapes but does none that address this. Could not find anything specific on the blog. I will be happy to pay for phone consultation. Access to you Stacy is like being in a huge warehouse full of chocolate and overwhelmed with which box to open first. Thank you. Hi! I was interested in the June Foundation for a liftetime clinic- I am a newer rider. I own a quarterhorse that I do beginning reining on as well as 2 arabians that I do limited distance / endurance riding with. I would be bringing one of the arabians to the clinic but am unsure if they would be a fit. The 15 year old mare I currently ride has some behavioral issues that crop up on the trail in the form of temper tantrums when I assert myself. I also have a 5 year old gelding who is broke but green that needs time and miles but who I hope to transition into longer distances with eventually. Would either of these two be ok to bring to the clinic? There is a good chance that either would work, I will send you an email with more details. Had a great time at equine affair. 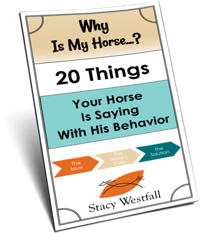 You are so talented and you relayed the information so well I was able to follow and understand looking forward to apply the info when riding my horse. Thank you !! !